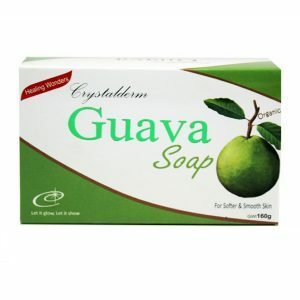 Crystalderm Guava Soap is especially formulated with pure extracts from fresh guava leaves. 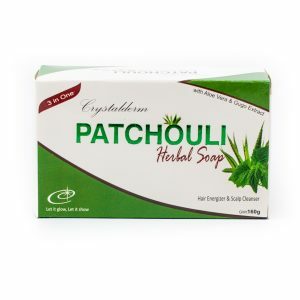 It is tradionally well known for its natural skin healing properties. Heals skin bruises, cuts and minor skin irritations. UltraLift Beauty System is the recommended regular skin maintenance for sensitive and dry skin. It provides you with the ultimate care to maintain a healthy and radiant skin. Both the UltraLift Facial Lotion and the UltraLift Vitamin Cream contain Beta Carotene, Vitamins A, C & E and pro-Vitamin B5 that help nourish, enhance and increase the skin’s natural resilience. UltraLift products work gently on the surface of the skin to help in the regeneration of skin cells. A healthy and even-toned skin comes naturally through this skin care regimen. Enjoy the visible difference in no time at all. Crystalderm Peeling Oil contains fruit acids which is a great exfoliant especially formulated for sensitive and dry skin. It effectively removes blemishes, skin discoloration and minor pigmentation. It keeps your skin smooth and glowing. 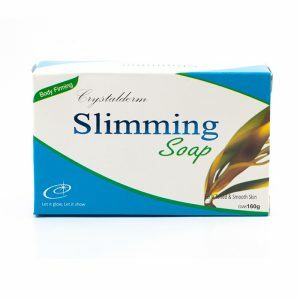 Crystalderm Simming Soap is blended with natural seaweeds extracts that helps keep your body firm and smooth. Crystalderm Peeling Oil is an oil based skin toner especially formulated to renew and recondition sensitive and dry skin. 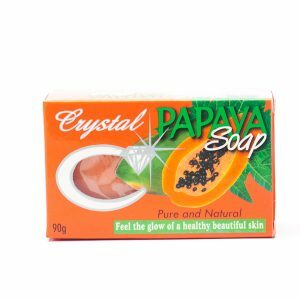 It exfoliates rough, dry and scaly skin and helps diminish freckles and blemishes. 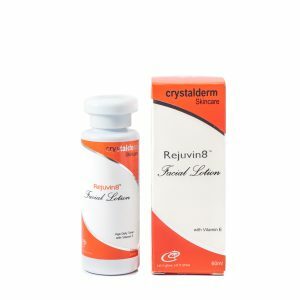 Crystalderm Rejuvin8 Facial Toner contains high grade Vitamin A & E and natural fruit extracts that helps renew, firm and whiten your skin. Crystalderm Facial Toner is the recommended toner for beginners. It works fast to exfoliate old, dull, and rough skin. It helps open clogged pores, rid excess oil, and recondition skin for efficient skin rejuvenation. 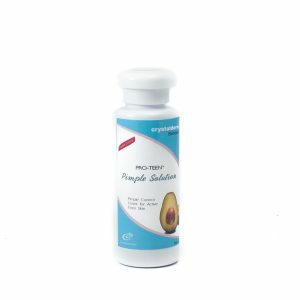 Pro-Teen Pimple Solution is the recommended regimen for growing teens to treat pimples fast, balance excessive oiliness and prevent future breakouts. It effectively exfoliates rough and pimple infected skin paving the way for healing pimples and normalizing the skin. Rejuvin8 Collagen Toner is highly recommended for skin rejuvenation and conditioning. It provides your skin with essential nutrients that help re-energize old, dull, and unattractive skin. Reveal the natural beauty of a smooth and glowing skin. 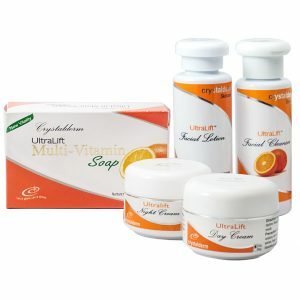 Crystalderm Ultralift Facial Lotion is especially formulated with pure Vitamin A and natural skin vitamins from fruit extracts. This special formula helps regenerate, nourish and strengthen the skin without the irritation caused by the peeling process. In just a few days of regular application, skin is retexturized, smoothen and firmed. It whitens the skin too. Give your skin a new look, a new life and the perfect care it needs. 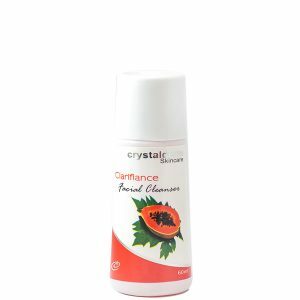 Crystalderm Clarifiance Facial Cleanser contains natural citrus extracts that is well recommended to deep clean and clarify the skin. It helps regulate oilines and balances moisture on skin to keep pimples and acne at bay. Lemon extract is a common folk remedy for lightening skin quickly. 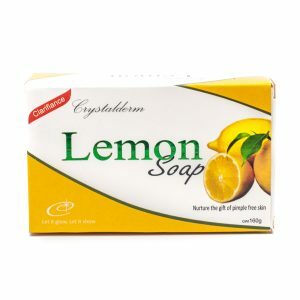 Crystalderm Lemon Soap contains natural vitamin C from citrus fruit extracts that helps clarify skin. 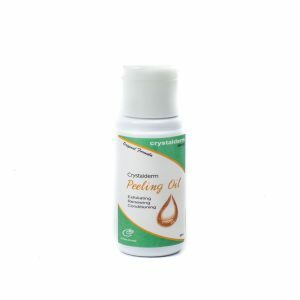 It is best recommended to rid excess oil on skin, dry pimples fast and clarify skin. Nutrure the gift of pimple free skin.